Juli – enjoy your time in the country. 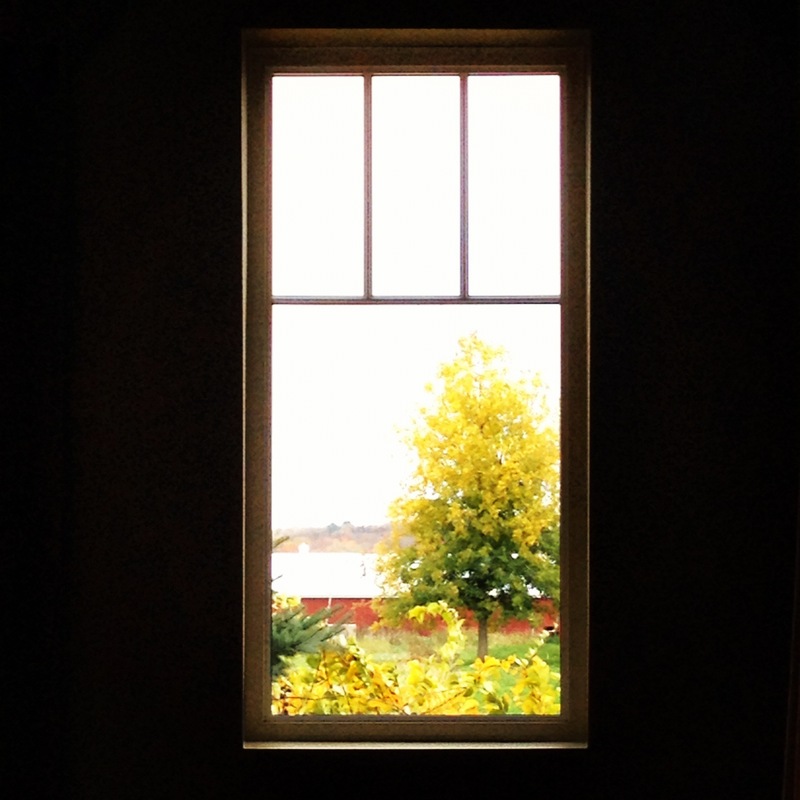 I love how you have framed this bright scene with the window, leaving all that dark negative space surrounding the autumn colors. It makes them pop from the screen. Juli, this is absolutely beautiful. I love the wonderful framing you used. So nicely seen and captured. Mmmm…yes! What a lovely view. I’d think you’re going to love it there!